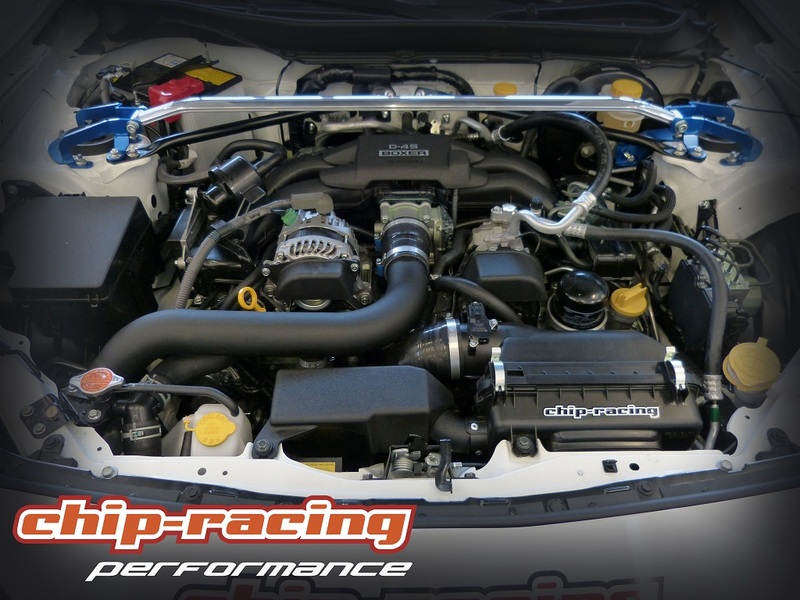 We’re proud to show the testresults for our CRTEK3 Toyota GT86 turbo. Those numbers work on the Subaru BRZ as well! Our Turbokit contains a turbocharger, an unequal lenght exhaust manifold, a front mount intercooler and all the necessary oil and water lines. Fuelpump, injectors etc. left stock. The Ecu was remapped via Ecutek software, allowing us to use four completely independant maps! This also gives the possibility to run a E85 Bioethanl map, a test of that will follow soon. Boost on this test was 0.3bar peak with 0.2bar hold. 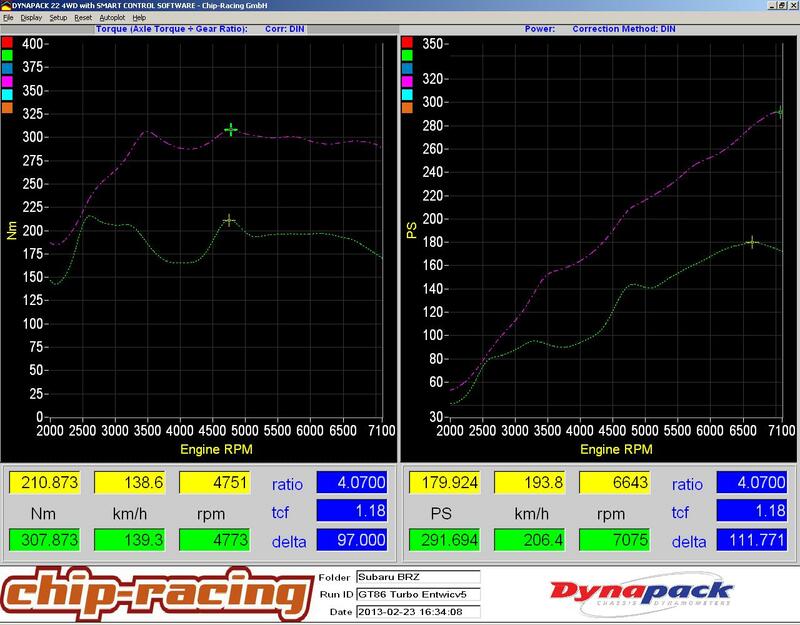 Due to the low boost level the engine still feels pretty much like a NA engine, just with way more power. The engine now finally fits the amazing chassis! J’aurais une petite question. Est-ce que le kit est homologué en Suisse? Bonsoir puis-je savoir où sont vos installations ?